Miss Mani Monster! : Pssst: I'm still obsessed with chevron. 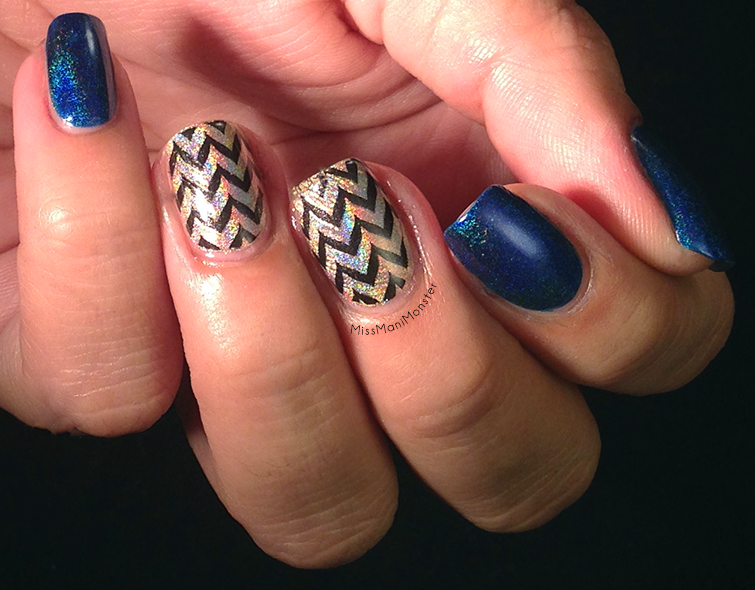 Pssst: I'm still obsessed with chevron. Cats out of the bag, folks. I can't get enough of chevron. 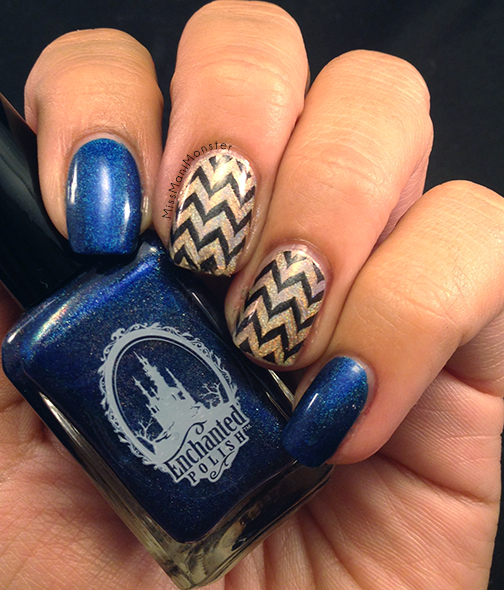 I'm serious: I have 2 matching chevron ottomans, a chevron rug on the way, and to top it off, chevron nails. 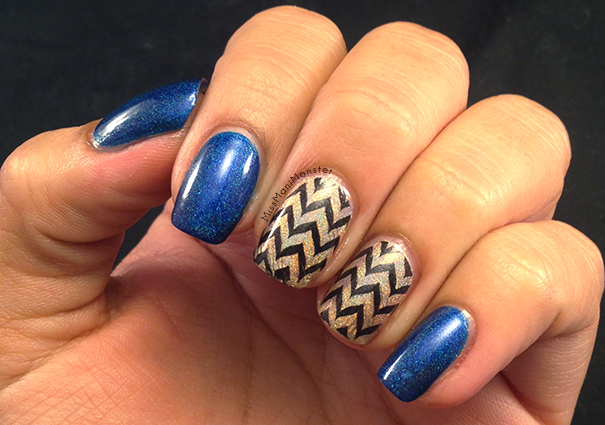 I used EP's Presto Magic and Liquid Sky Lacquer Pure Luxury to create a double accent chevron mani with MM12. 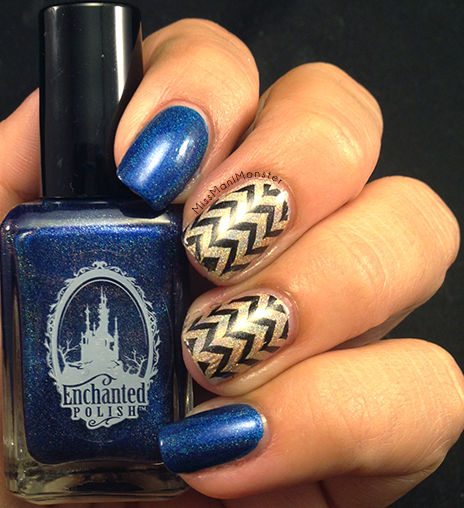 What is your pattern addiction for nails? Water marble? Polka dots? Stripes? Let me know in the comments!! I am in love with that blue.